Phaorahs Dream pokies slots - you love it, we got it free here. Get ready to enjoy some great wins while ravelling to Ancient Egypt with this great themed video pokie from Bally Technologies. With Pharaohs Dream, players will have 40 paylines in which to create winning combinations and the game is a perfect choice for penny players. It can also be played in a free practice version for those that just want to see what the game is all about. This pokie machine is a popular choice at land based casinos and with the online version, all of the great game features are available, including wilds, scatters, and stacked wilds and free spins. The game has an RTP of 94%, so players can expect to enjoy some decent wins. The game does not have eye popping graphics, but all of the symbols are related to the popular Egyptian theme. With this pokies machine, players will enjoy a standard wild and scatter along with the Eye of Horus, Scarab, Ankh and playing card symbols from 9 through Ace. The symbols themselves are colourful and bright and the game is played on a nice backdrop featuring an Egyptian setting. 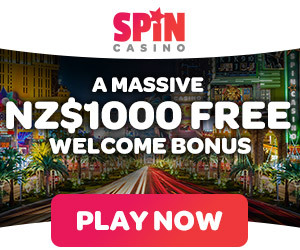 When playing this game for real money, players can select from various coin denominations that range from $0.01 to $10 per payline for bet amounts of as little as $0.40 or as much as $400 per spin. The game does not have a progressive jackpot, but here are some nice base game payouts that can be achieved. The base game top reward is $5000, which can be won with five wilds or five Eye of Horus icons on a payline. While spinning, players will see the pyramid and this is the game wild. The wild can appear on any reel in any position and will take the place of all non-scatter symbols in the game. The scatter is an important symbol and it can appear on reels 1, 3 and 5 only. Three scatters will award an instant payout of 4x the bet amount and will trigger the exciting free games feature. With the free spins, players will start with 10 spins and will enjoy great payouts. During this bonus round, there are stacked wilds that can appear on reels 2, 3 and 4, so there are superb chances at increasing winnings when these appear. Unfortunately, the free spin round cannot be retriggered, however, any stacked wild that appears will remain in place for all free spins. Pharaohs Dream is a great slot game from Bally and while it may not offer the excitement and added features of newer 3D games from other developers, this is a nice Egyptian themed game that can be enjoyed by low and mid rollers. The free spin round is the game highlight and this is where one can expect most of the winnings to be generated. Bally make some slots for online players so we hope you like playing the free game right above, Bally software downloads are not required to enjoy all our slots free. Google + Profile: Tina Lim on October 3, 2014. on August 21, 2016.